The solar radiation convert into heat. 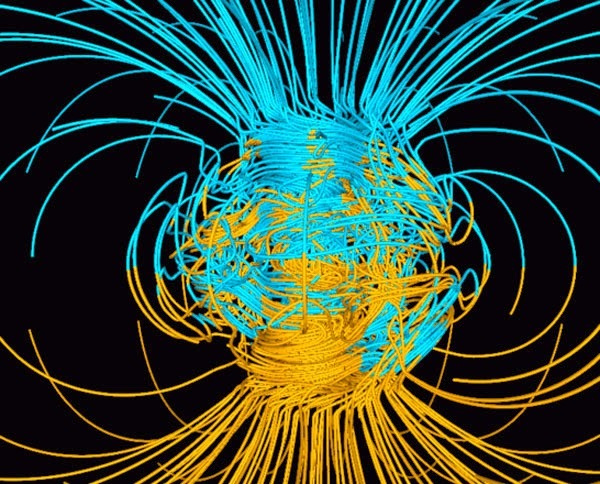 Solar radiation convert into electric current through earth 's poles. Due to this current the core of earth is becoming hot. Wonderful idea to convert solar radiation into electric current.